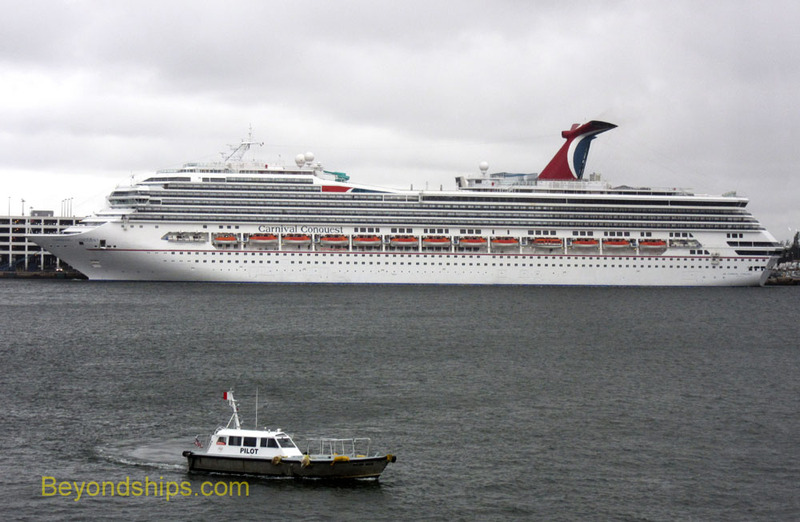 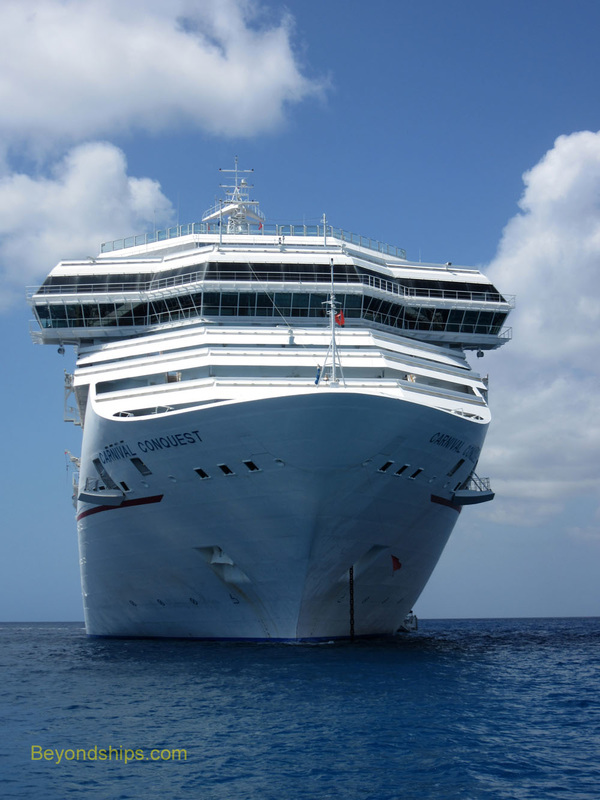 Above: Carnival Conquest embarking on a cruise from Fort Lauderdale, Florida. 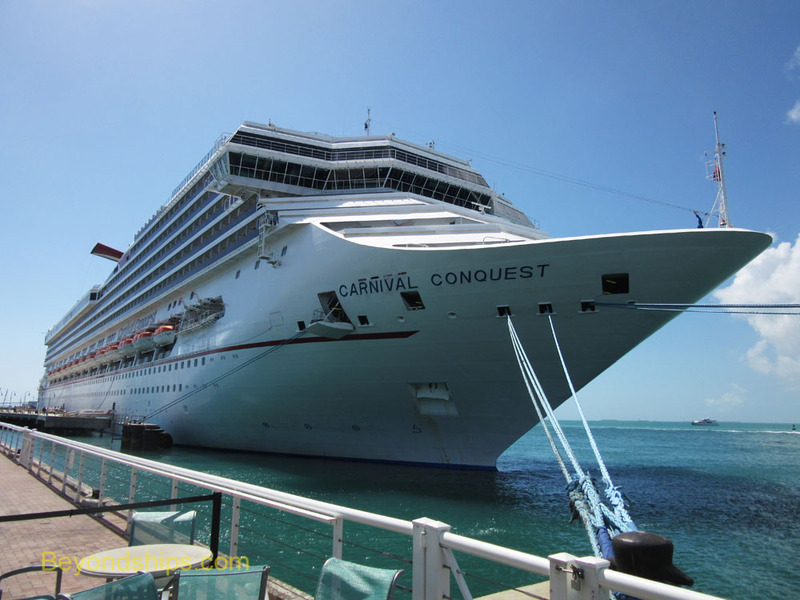 Conquest calling in Key West, the gateway to the Western Caribbean. 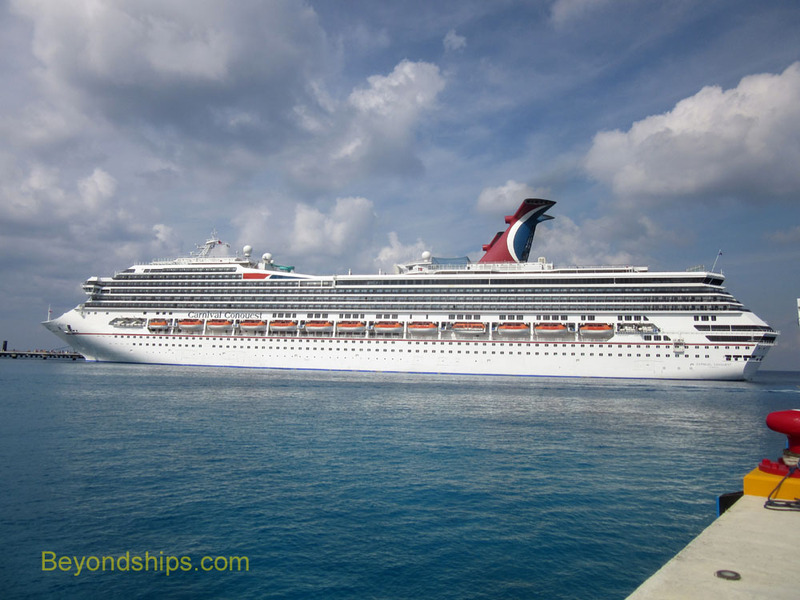 There is no cruise ship pier on Grand Cayman so Conquest anchors in the bay before George Town and tenders the passengers ashore. 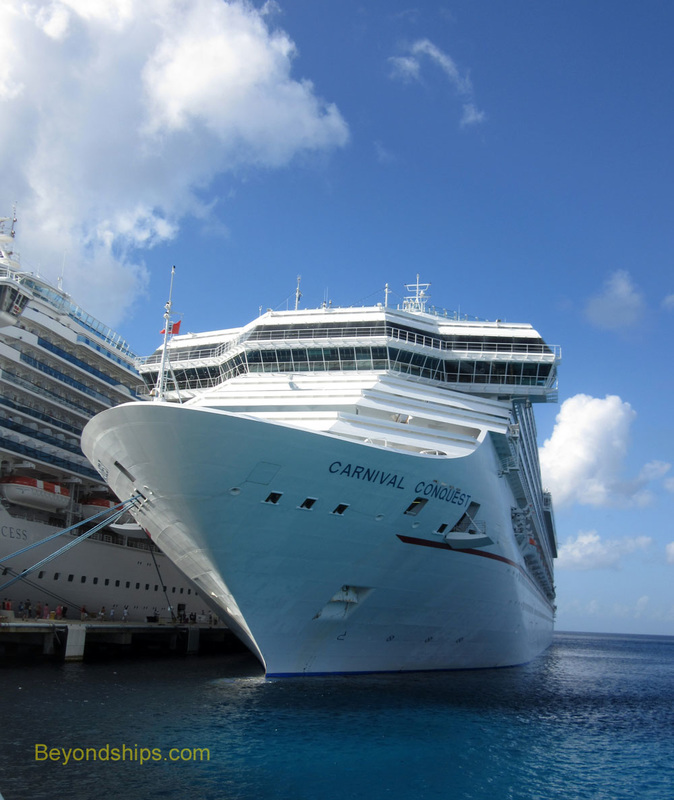 Conquest arrives in Cozumel, Mexico and docks at the Puerto Maya pier. 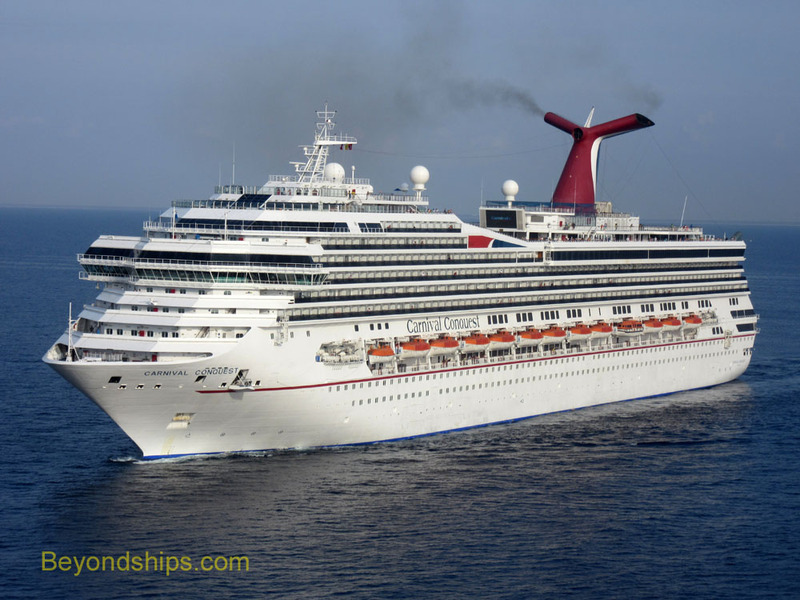 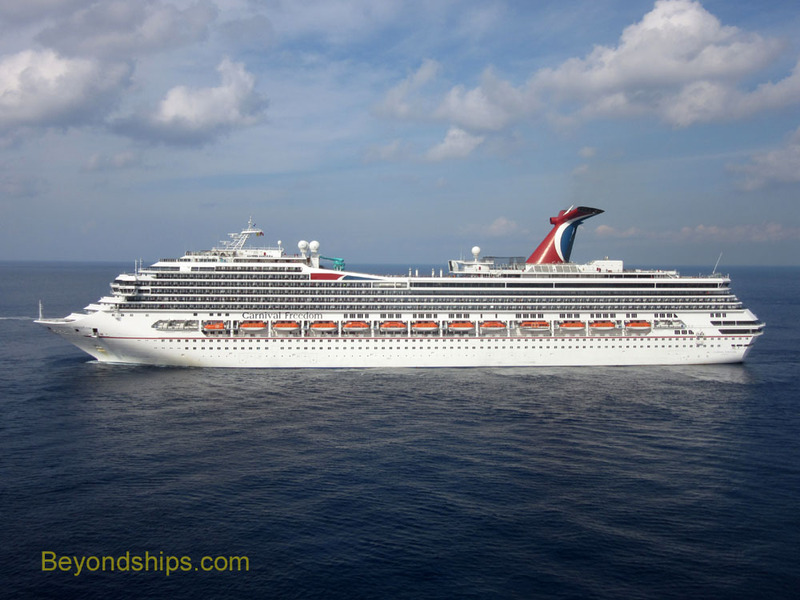 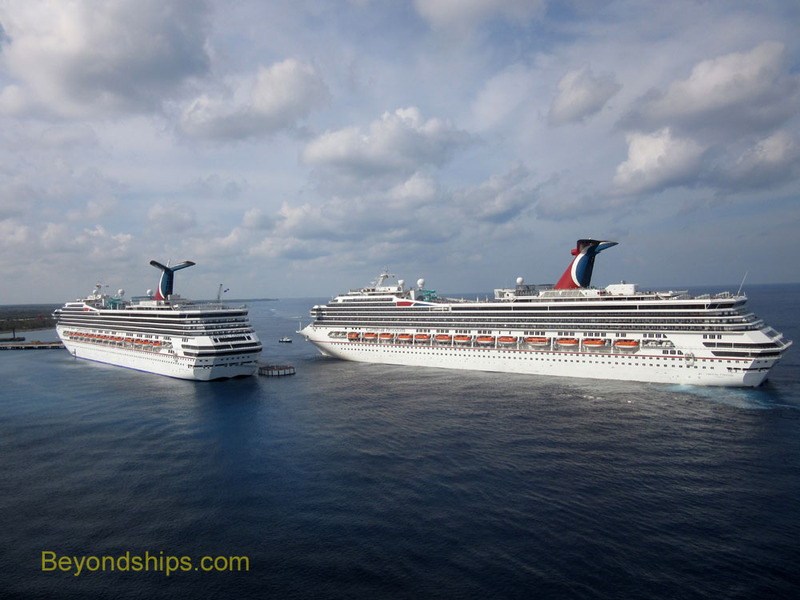 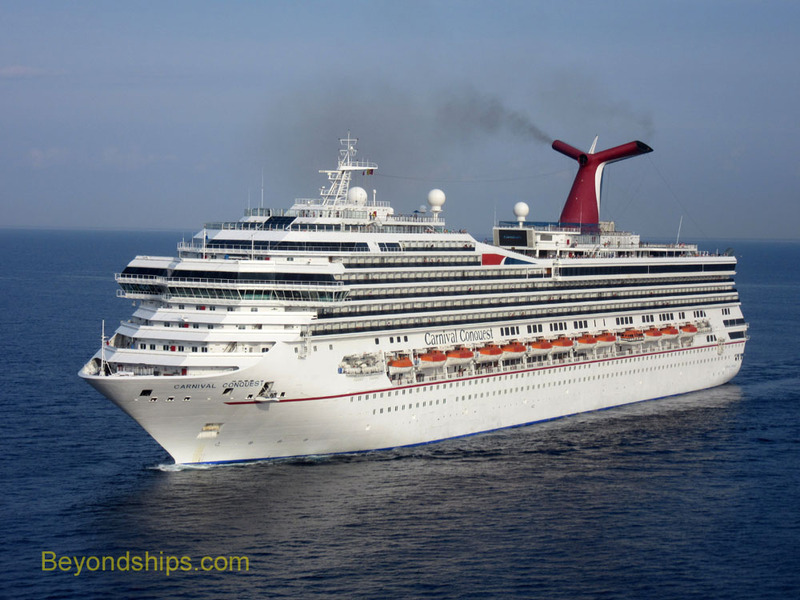 Sister ship Carnival Freedom arrives shortly after Conquest.